Fans of the classic GameCube are going to wish this was an actual product. The folks at @ExtremeConsoles recently featured a fun side-project: their very own storage shelf that resembles the console! In particular, it uses the GameCube logo’s unique ridges to hold games – and it looks like you can even open up the centre cube for more room. What do you think? 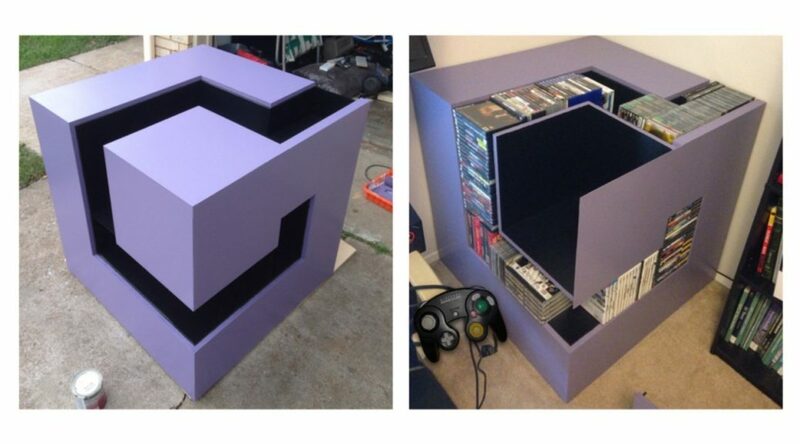 Is this one of the coolest gaming shelves you’ve seen, or does it waste too much space? Let us know below!